Schools should be specifically rated by Ofsted on the quality of their careers advice to ensure pupils are getting all the information they need to become scientists and engineers, a committee of MPs has said. Inspectors already consider schools’ careers advice provision when making judgments, but MPs on the parliamentary public accounts committee want the watchdog to take a tougher line after finding schools only dispense “patchy” guidance. Not only are pupils not being well-guided towards STEM careers (science, technology, engineering or maths) but the government doesn’t know if its method of recruiting teachers for those subjects is effective. The committee, chaired by Labour MP Meg Hillier, has said the DfE simply “does not know” whether financial incentives for teachers in STEM subjects is working. Evidence was gathered from both the DfE and Department for Business, Energy and Industrial Strategy (BEIS), and the committee produced withering report on the government’s efforts to stopper the STEM skills shortage. The committee is “concerned” about the quality of careers advice in schools, echoing the DfE’s own words at the launch of its careers strategy in December. But this strategy, which includes the previously-criticised Careers and Enterprise Company, will fail if pupils continue to perceive STEM subjects as too difficult. The government is already reviewing whether schools are meeting the requirements of the Baker clause careers duty, to give pupils access to non-academic routes, following concerns not all schools are doing so. Data on career destinations and the salaries of different industries should also be used by the DfE to incentivise pupils to work towards careers with skills’ shortages. Two years ago, the committee said the DfE didn’t know what proportion of teachers receiving bursaries for teacher training were actually going on to teach. Under plans announced last year, some maths graduates will receive up to £35,000 on top of their salaries in exchange for joining and remaining in the teaching profession. But the DfE still doesn’t know how long the teacher trainees on bursaries are staying in the classroom, the committee has found. It “therefore cannot say whether these incentives are achieving the desired outcomes”. The DfE must work out whether financial incentives for teacher training are delivering value for money, and let the committee know as soon as possible. University technical colleges, which were set up eight years ago to offer vocational education to 14- to 19-year olds, have suffered from the per-pupil funding model. Schools have a “clear financial incentive” to retain their existing pupils because of the funding, so will not want to encourage them to move to a UTC or other similar institutions, said the committee. This means institutions that try to plug the STEM skills gap are at a disadvantage: “The DfE risks wasting time, effort and money if it does not learn lesson quickly from past initiatives. The Department currently doesn’t have a good enough understanding of what skills employers need or how it can help ensure a supply of STEM skills for them. It is conducting an employer skills survey, but the results aren’t due until summer 2018 and there is a “lack of urgency” about finding out. 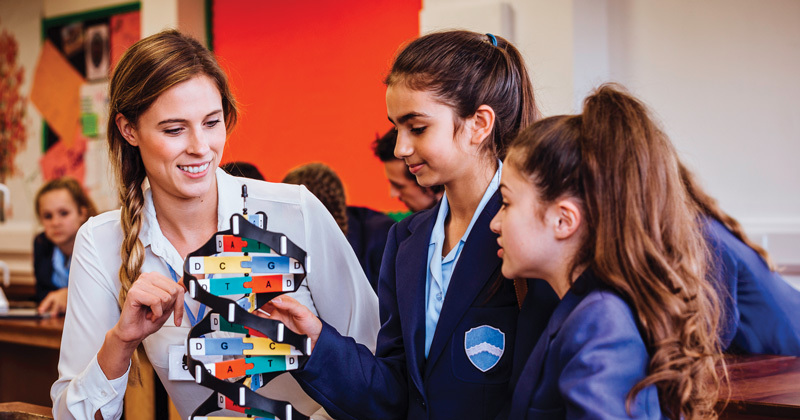 After a report from the migration advisory committee comes out in September, which will paint a clearer picture of how many skilled migrants there are in the UK, the DfE must explain what steps it will take to ensure the STEM skills shortage is addressed. It is not the purpose of careers education and guidance to steer pupils in a particular direction (in this case, STEM). The purpose of CEG is to help pupils make decisions wisely taking into account their attributes, attainment and goals. While Ofsted should look at CEG quality it would be dangerous if they reduced this to checking schools adhered to the Baker Clause (easily done if schools just marshal all pupils into the hall to hear a recruiting message from, say, unis or the forces) or the proportions of pupils taking STEM subjects.